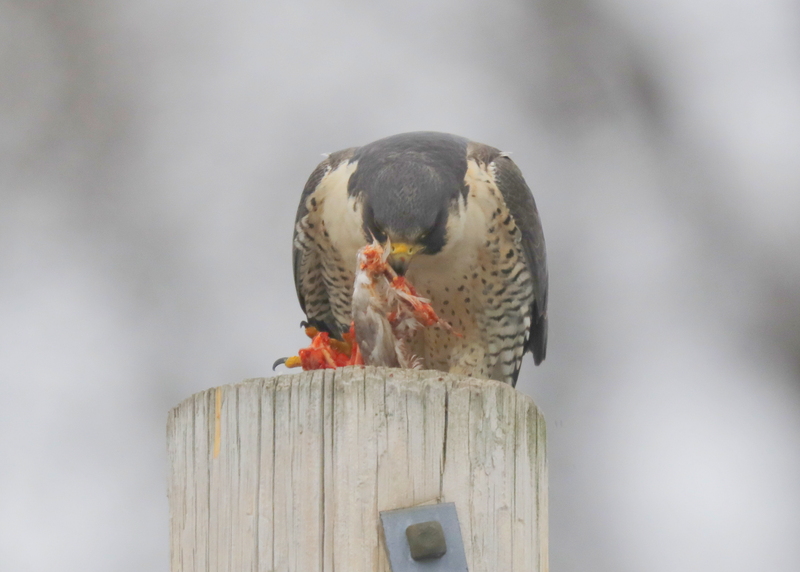 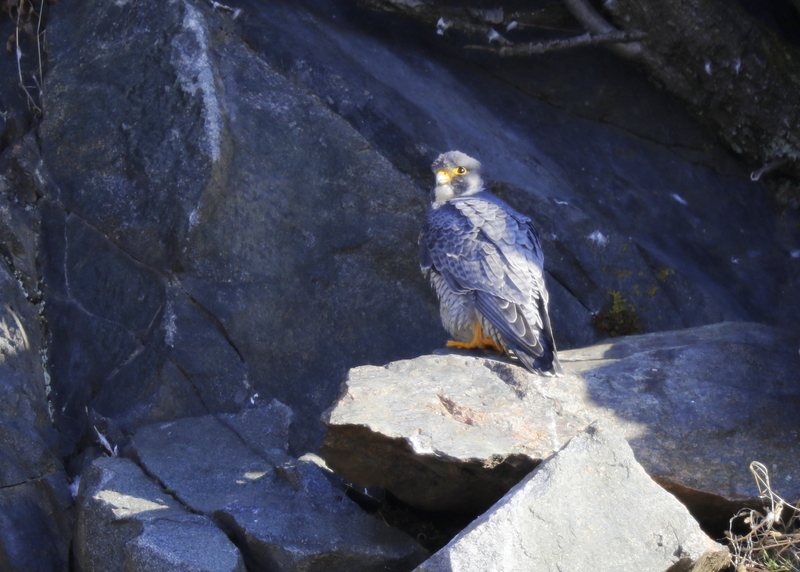 You are browsing the Blog for peregrine falcon middlesex county. 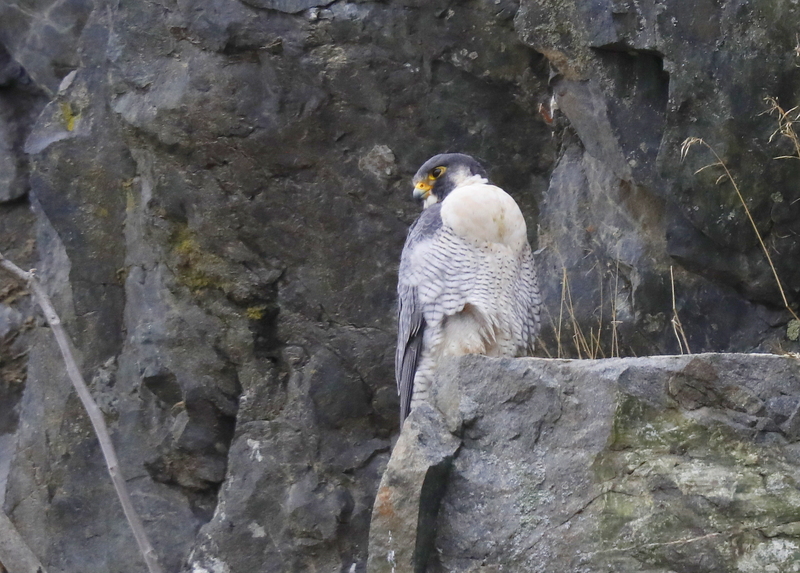 While heading home, had a nice opportunity to check on the Peregrine Falcons in Watertown. 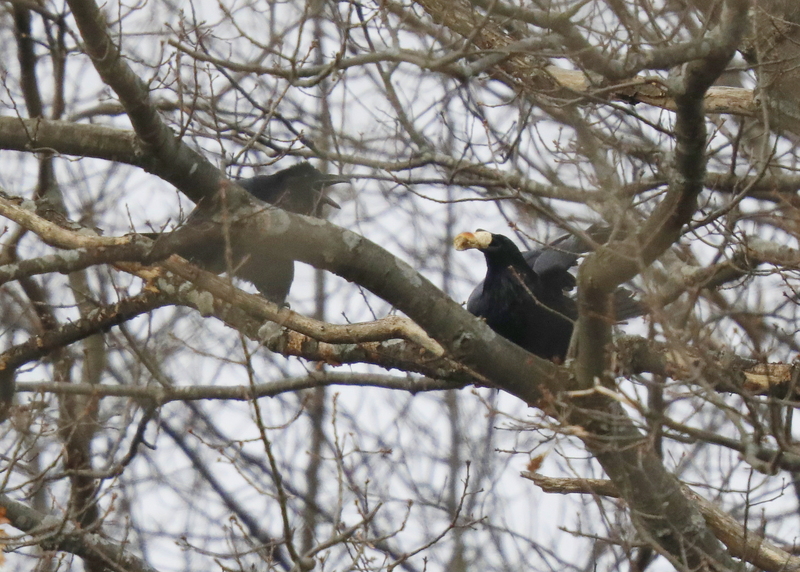 This is a known nesting pair that have been in residence the last few years. 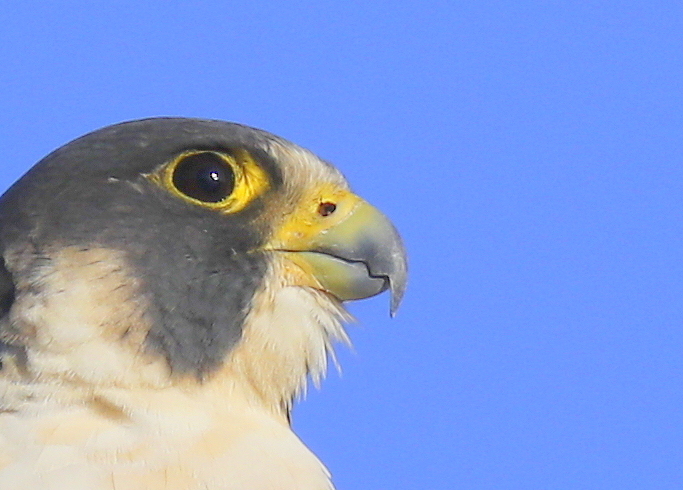 It was mostly sunny, with east winds at 10MPH, and temp at 60F. 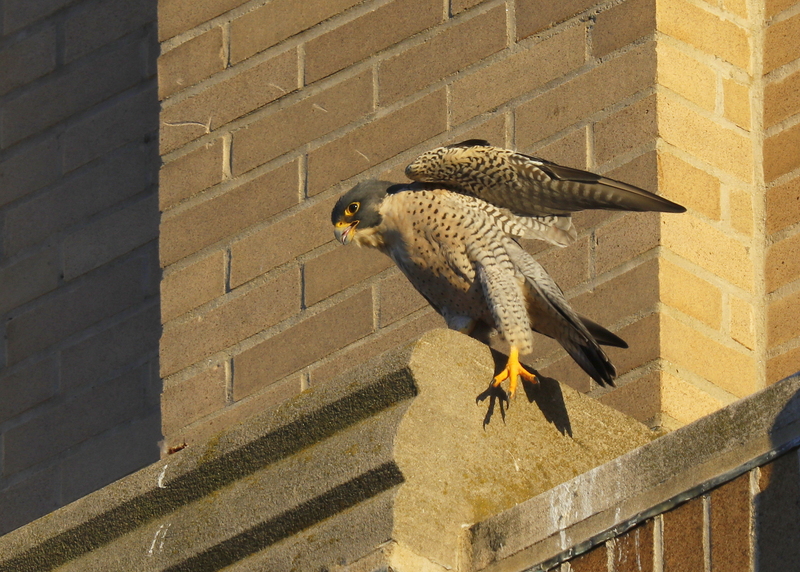 The adult male was seen on the front of the building in great light. 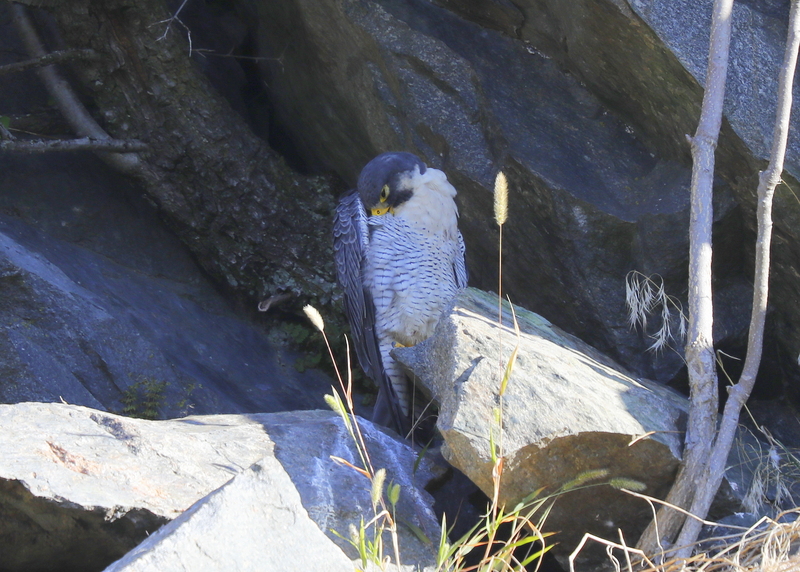 It was stretching and preening. 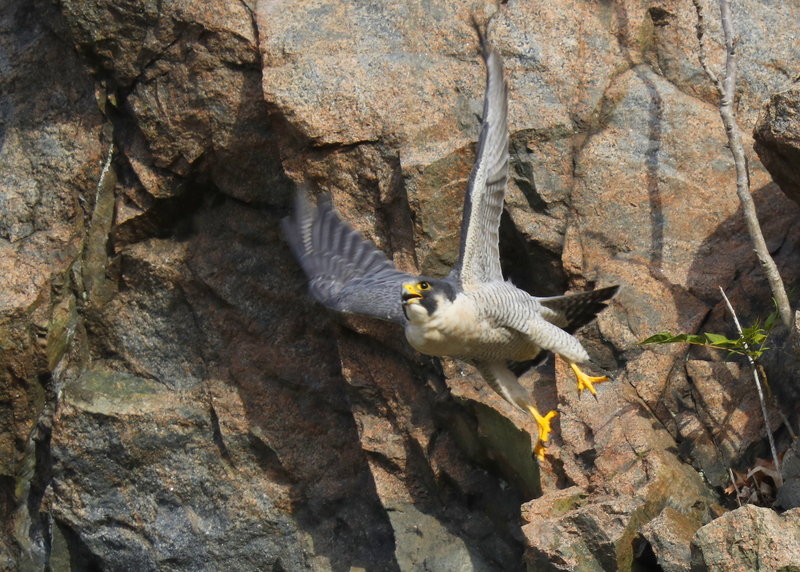 Adults commonly stretch single leg or wing laterally; stand on one leg and stretch opposite leg back to side, simultaneously stretching wing from same side across extended leg. 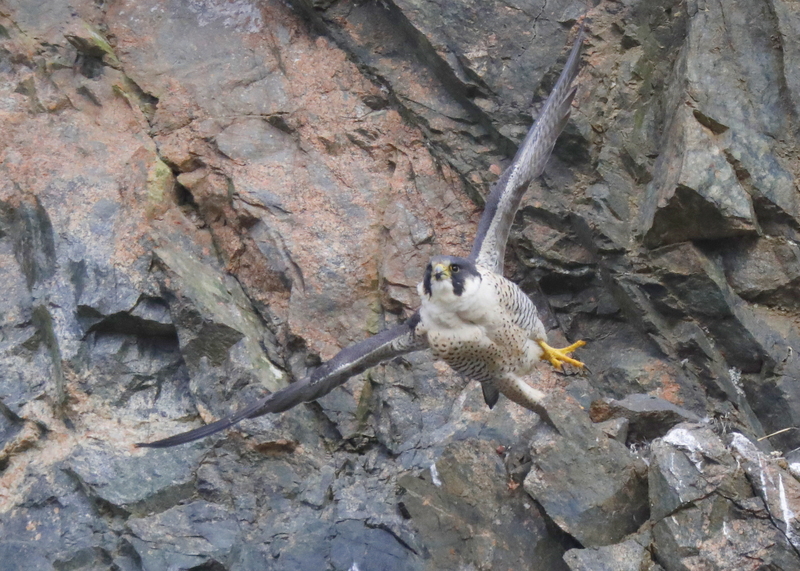 Peregrines also double-wing stretch (warble), bird bends forward and down raising both wings over back, sometimes fully extending wings at wrist; seen more in fledglings; may be followed by wing-flapping. 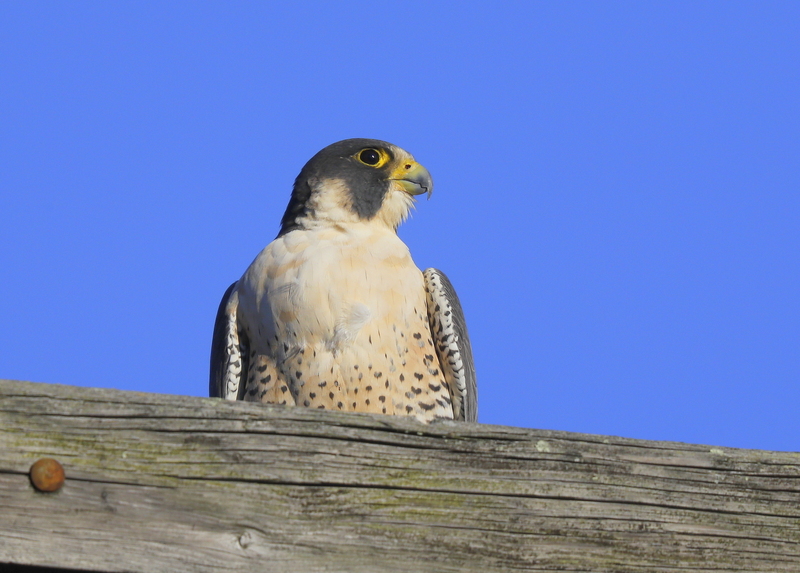 The larger female was seen nearby at a higher elevation near the nest box. 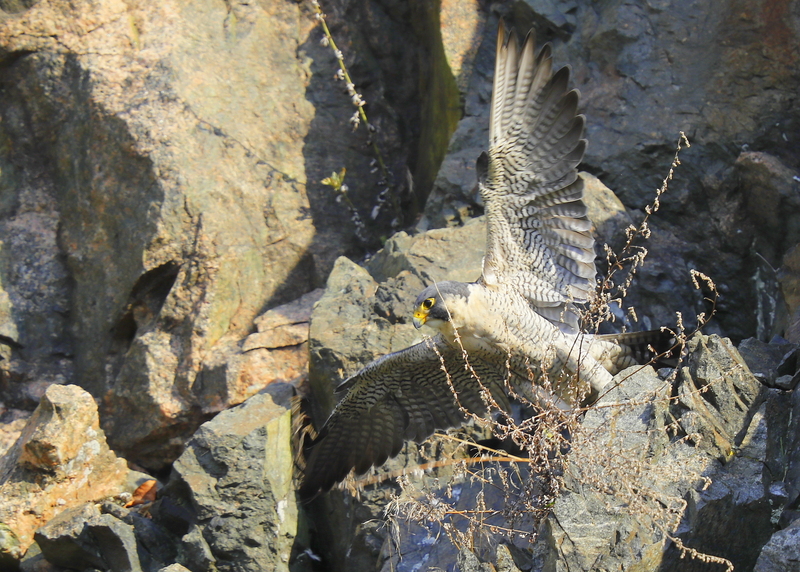 She then departed, made two aerial loops, and landed near the male at same elevation 8-10 feet away. 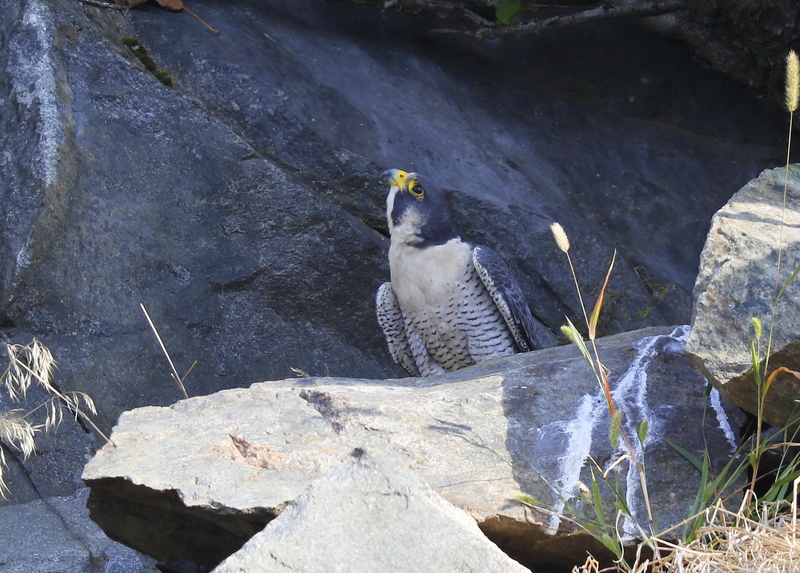 She proceeded to communicate with the male with head bowing and other movements. 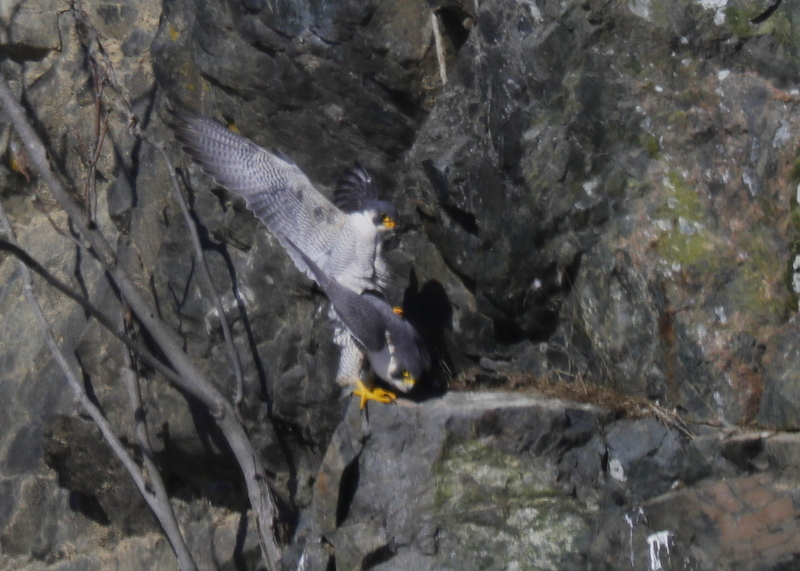 In this display, her approach was entirely horizontal (head, body, and tail all in one plane) with a slight lowering of her head. 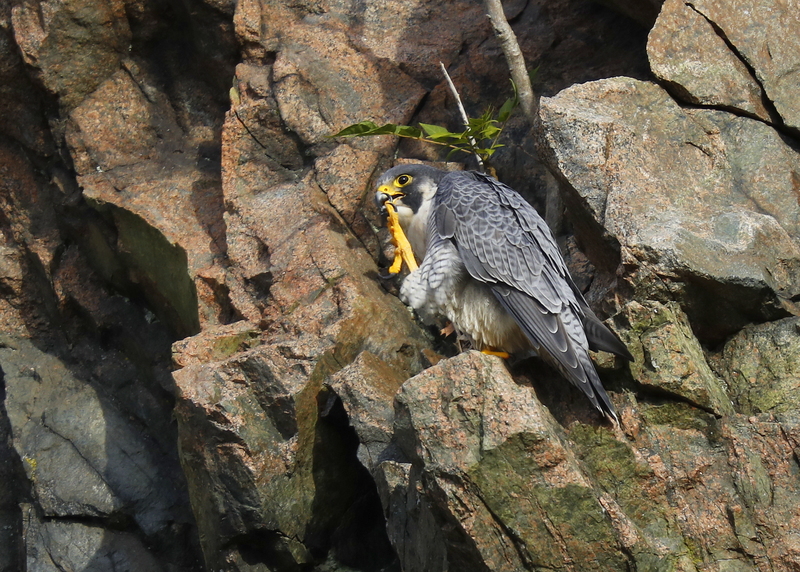 Her bill was pointed at the male and not towards the ledge. 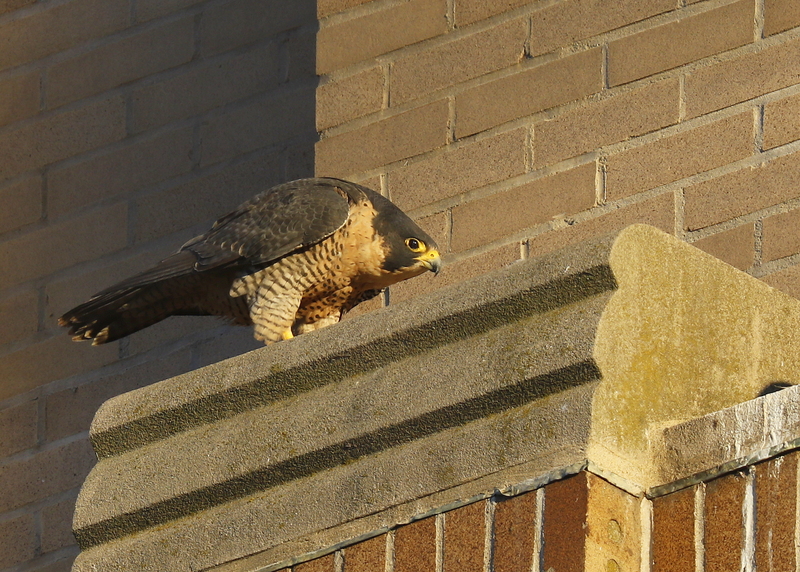 She paused to look at the male infrequently. 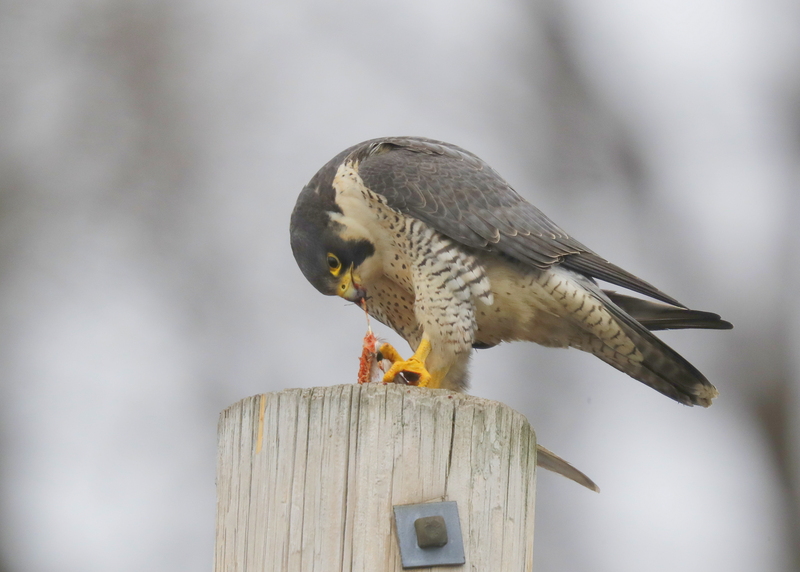 Fascinating to watch!